Pre made and ready to ship within just a few days! This is a single 5.5yrd piece of hand dyed aerial fabric (specs below). This hammock is MORE NARROW than our typical yoga hammocks! It is JUST long enough for a 5ft 4in person to lay in savasana! -Fabric is 40 Denier Nylon Tricot and has been break tested and approved for aerial use! (tested by Brett Copes with Fight or Flight Entertainment) The fabric is commonly known as low stretch, is used widely for aerial yoga and loved by both beginner and professional aerialists! -108" (3 yards) wide for a full savasana! 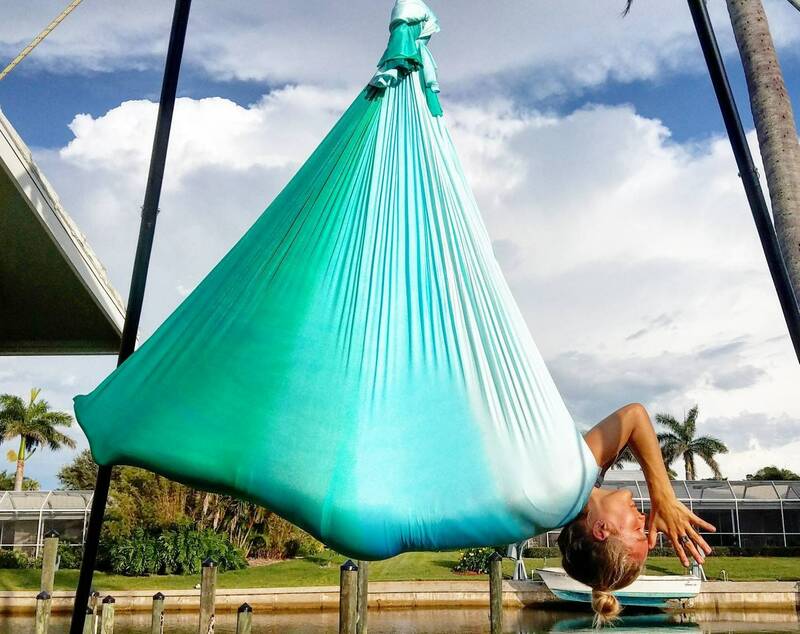 "I have been using these different styles of hammocks/silks in my home and aerial studio for over 4 years now. 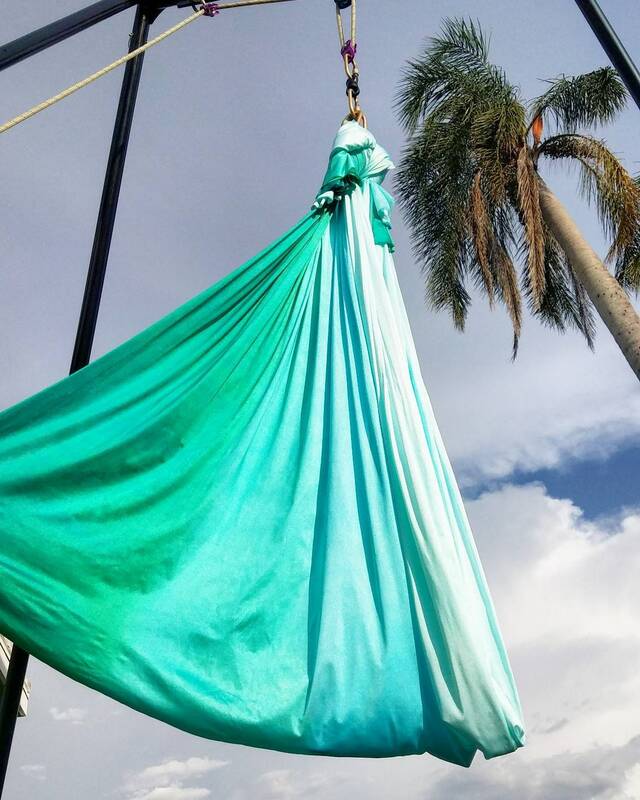 The fabric is absolutely perfect for aerial yoga! Soft and forgiving but not too stretchy, it provides the perfect amount of support for both beginners and advanced aerial students."